Hear rising stars from The Juilliard School perform selections from some of classical music’s best-loved composers in The Greene Space. Leave the emails, phone calls, and stress behind, and settle in for an hour of musical serenity. Performing today will be the Verona Quartet. Hailed by the New York Times as “an outstanding ensemble of young musicians”, the Verona Quartet – Jonathan Ong and Dorothy Ro, violins, Abigail Rojansky, viola and Warren Hagerty, cello – is a winner of the 2015 Concert Artists Guild Competition and in just three years, the ensemble has earned a stellar reputation for delivering a “sensational, powerhouse performance” (Classical Voice America) every time they take the stage. The Verona Quartet has performed across four continents in venues such as Wigmore Hall (UK), Izumi Hall (Japan), the Melbourne Recital Hall (Australia) and the John F. Kennedy Center for the Performing Arts (Washington, DC). They have also appeared numerous times on NPR and PBS. Highlights from the Verona Quartet’s 2016-17 season include a Carnegie Hall debut at Weill Recital Hall, Lincoln Center’s Alice Tully Hall (NY), concerts at La Jolla SummerFest and the Dame Myra Hess Series (simulcast live on WFMT radio). 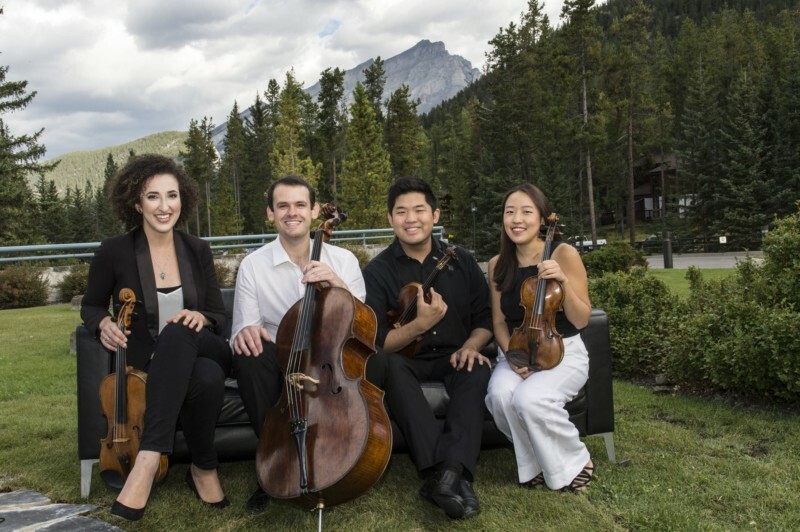 Also in 2016-17, the Verona Quartet enjoys its second year as Graduate Resident String Quartet at The Juilliard School, where they teach as Lisa Arnhold Fellows. Previously the Quartet served as visiting artists at several leading music institutions, including the Beethoven-Haus (Germany), Oberlin Conservatory of Music and will return in 2017 for their second year as Quartet-in-Residence at the Indiana University Summer String Academy. Among their most recent accolades, the Verona Quartet was selected as Musical America’s “New Artists of the Month” for May 2016, further setting the Verona Quartet apart as one of the most compelling young quartets in chamber music. The quartet has also garnered more than a dozen top prizes at numerous prestigious competitions worldwide including the Wigmore Hall International String Quartet Competition, Melbourne International Chamber Music Competition, 8th Osaka International Chamber Music Competition and at the Coleman, Fischoff, and Chesapeake and M-Prize Chamber Music Competitions.